Cannot Connect to multiplayer HELP! 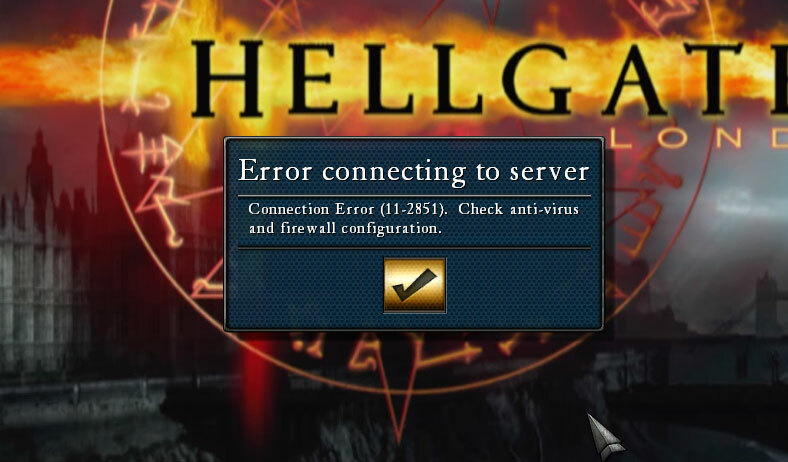 I’ve been playing for quite a while now and all of a sudden I was disconnected with the Connection error (11-2851) and It tells me to check anti-virus and firewall software. After disabling both of those and running as administrator I am still getting the same error! Any hints on how to fix? Thank you! Same Error atm. Are the servers down today? Just got this too at 9:00 am/CST. hi. the same thing happened to me about 2 hours ago. before the disconnection, all things fine. so I have no idea what’s going wrong. I am having the same issue for about 3 hours :(. Turned off anti virus and tried. No luck. Anyone on here have any ideas? I had the que at first as well. Kept saying 1 of 8, then like 5 of 19. But now I just get the network error.